Can a Baby Eat Honey? The short answer is no honey for babies in the first year of life. Raw honey has the capability to cause a potentially serious problem in babies less than 12 months. 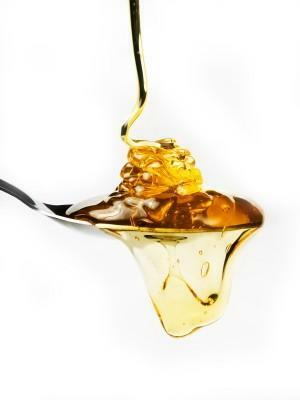 Honey sometimes contains spores of the Clostridium Botulinum bacteria which when a child is affected can induce an unpleasant form of food poisoning-like symptoms including constipation, lethargy and loss of appetite - even death. Cases of this illness are rare. However, due to the potential risk, parents are advised to keep honey from a babies' diets until they reach a year. Ideally this rule should apply to any food product associated with honey, including particular cereals that are coated in it, which parents commonly buy for young children. The risk is likely to be even less than that of eating a pure form of honey. However if there is any risk at all, it is best not to take any chances. Never take risks when introducing unfamiliar foods to a baby. If you are ever unsure, the safest thing to do is consult a pediatrician to be extra safe.